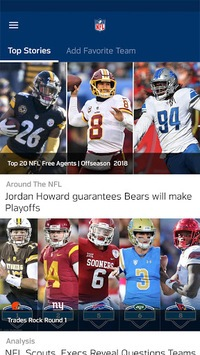 • NFL NOW: NFL now brings fans the latest stories and trending topics across the NFL and gives direct access to all 32 teams. • TEAMS: Select your favorite team to watch videos directly from that team or replay recent games. 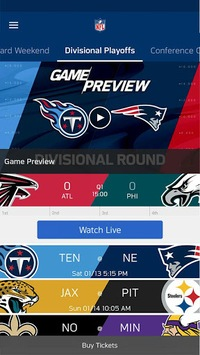 All fans can access NFL Game Pass subscription content within the NFL app. NFL Game Pass is a subscription product with features that vary based on location**. 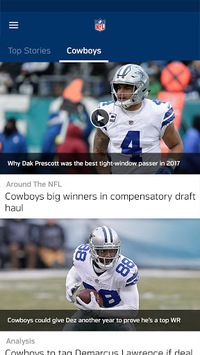 Learn more at www.NFL.com/Gamepass. The Services may feature Nielsen proprietary measurement software, which will allow users to contribute to market research, such as Nielsen TV Ratings. Nielsen believes that you should have a choice about whether to contribute to our research and insights. To opt out of Nielsen measurement, you need only to activate the "Opt out of Ads Personalization" (for Android devices) option in your devices settings. For web, please visit: http://www.nielsen.com/digitalprivacy to learn more about the Nielsen digital measurement products and your choices in regard to them.